Rinse the fish heads and pat dry with paper towels. Season the fish heads with salt and pepper. Coat them with corn flour. Heat enough oil in a wok over medium-high heat. 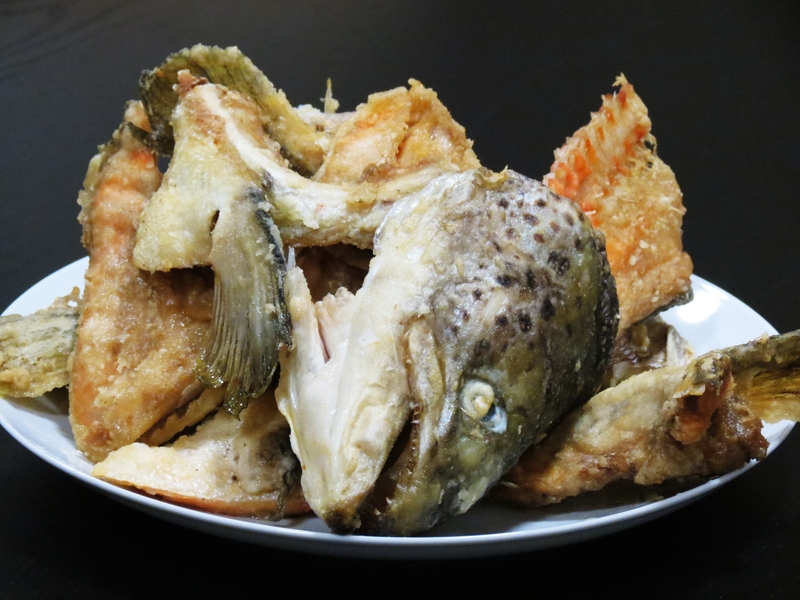 Deep fry the fish head pieces in batches until golden brown and crispy. Drain on paper towel and set aside. Heat 1 tablespoon of oil and 1 teaspoon of sesame oil in a pot. Add in garlic and ginger, saute until fragrant. Add in deep fried fish heads and shao xing wine. Stir fry for 1 min over high fire. Add water and ikan bilis cubes. Bring to a boil. 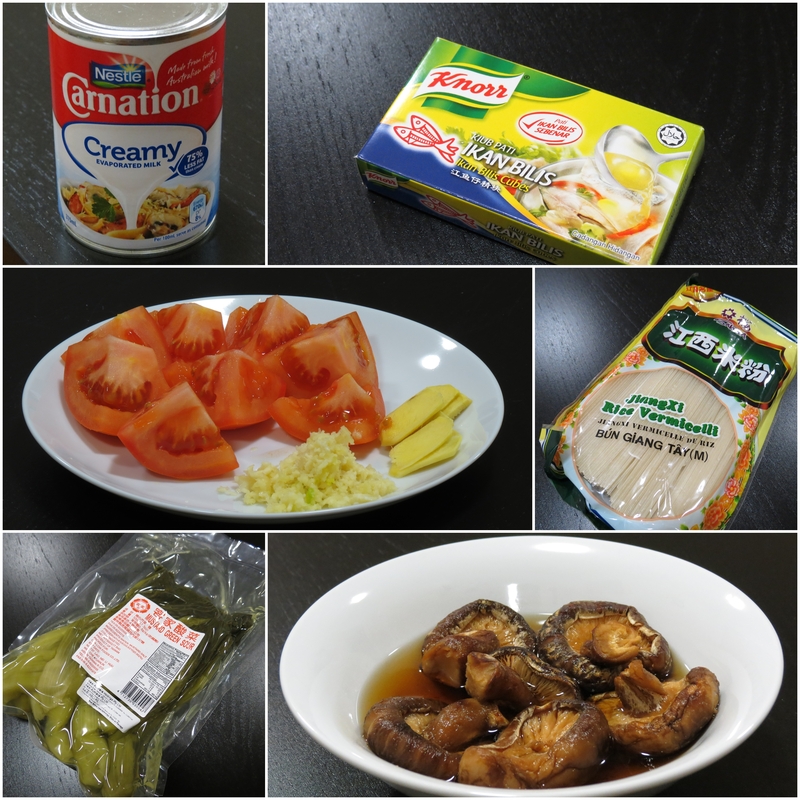 Add salt, pepper, tomato, pickled green mustard slices and mushrooms. Cover the pot and simmer for 15 min. In a separate pot, cook the rice vermicelli according to the instructions on the packet. Drain and put it into a bowl. Blanch the baby bok choy in boiling water for 1 min. Drain and put it into the bowl containing the rice vermicelli. 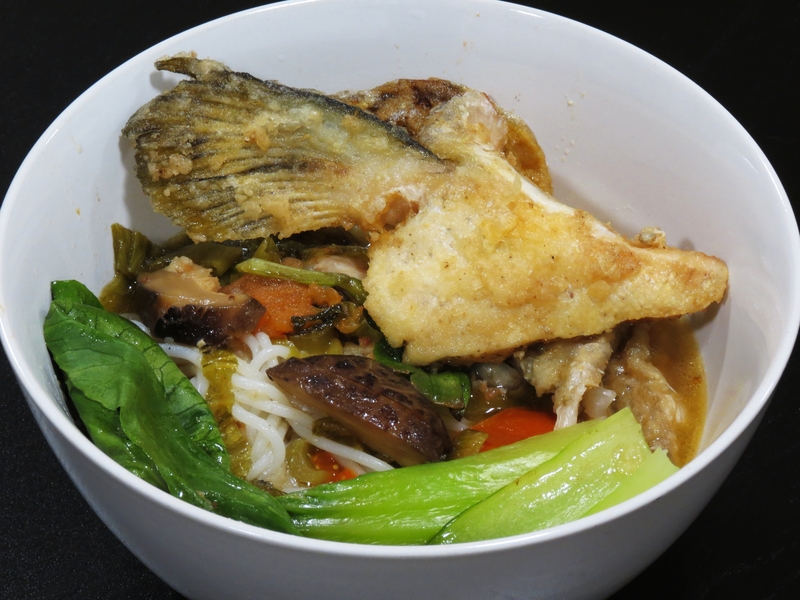 Pour the fish head stock over the cooked rice vermicelli. Add in 3 tsp of evaporated milk and serve it warm.